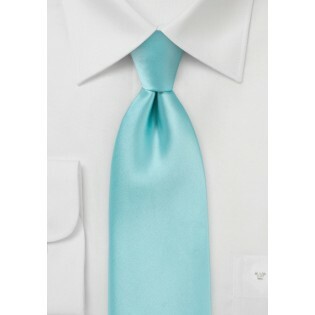 This pool blue necktie is one of our best selling ties for the spring season. It is not surprising that this bright pool blue color and the elegant solid color design make this one of our best selling ties used to outfit wedding parties. We matched this tie with suits in gray, tan, navy, and liked every outfit we created. 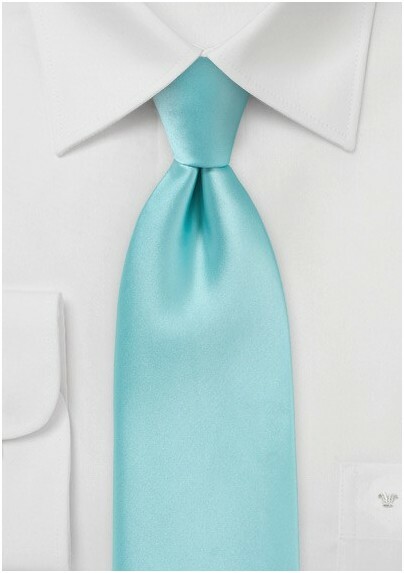 Our favorite however, consists of a seersucker suit, white linen dress shirt, beige shoes, and this stunning pool blue tie. Made from care-free microfiber.